When you hear the name Sidney Crosby and the word viral in the same sentence, it's usually synonymous with an amazing goal that's been replayed over and over again through Social Media. 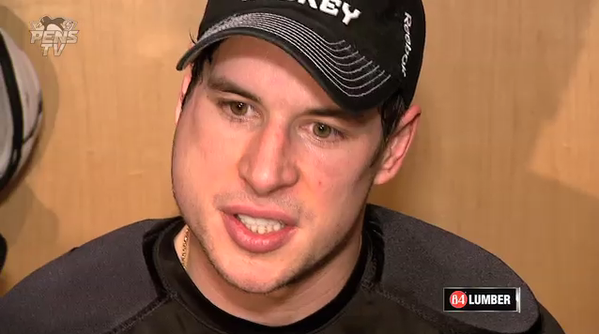 Unfortunately for Sid the Kid and a handful of others in the NHL, the only thing viral these days is located in the parotid gland and is in the form of mumps. Mumps is one of those infections that harkens back to a time when, as a kid, you were sent to friend's house to become exposed to chickenpox followed by three weeks of homework in bed. That's why anything not referred to as "shingles" for adults seems unthinkable to be contacted, especially those who are considered to be in the best of shape. Crosby is being monitored by team doctors as he rests, and Penguins GM Jim Rutherford said he's being watched "on a regular basis." 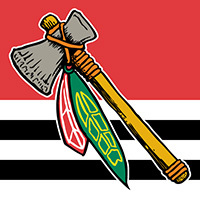 But with the infection beginning to spread across the league, questions are being raised as to how this started, what's being done to eradicate it and, for Hawks fans, who on the team might have been infected? With many more severe infections and diseases in the world today, mumps certainly is far down the list of importance with those in the NHL. Not to downplay the infection, as it can get serious if not treated properly -- it does, however, beg the question as to how something like this started. The Mayo Clinic defines mumps as a viral infection that affects one of three pairs of salivary glands (parotid being one of them), and while being common in the United States, the odds of getting mumps is very low. There isn't necessarily a treatment for the mumps, so it's one of those situations where if you are infected, you simple have to ride it out. There are options to prevent getting mumps, and that includes the measles, mumps, and rubella (MMR) vaccine. In most scenarios, individuals are required to receive this vaccination as part of enrollment into a school, or, for NHL players specifically, before competing in the Winter Olympics, which is what Penguins team doctor Dharmesh Vyas stated in speaking of Crosby. "He had immunizations as well as a booster shot as recently as less than a year ago for the Olympics," Vyas stated last week. "He was well protected from his antibody standpoint. He also had no symptoms, such as fever or chills or generalized body aches, but we nevertheless continued to follow him closely." Symptoms of mumps include aching muscles, fever and chills and loss of appetite, not to mention the swelling of your jaw. And as of Monday, December 15, according to an excellent piece written by Matt McCarthy at Deadspin.com, the outbreak apparently began with Ducks defenseman Francois Beauchemin in early-November, spread to three of his teammates and then to the rest of the league, including 10 percent of the Minnesota Wild team population. As with any viral scare, anytime we hear of a symptom, Hypochondria sets in and we flinch at first itch on our arm and check WebMD. It's possible Hawks fan might be over-concerned for Duncan Keith, who sat out Tuesday night's game against the Wild with an illness, but nothing has been mentioned officially on Keith's behalf. Head coach Joel Quenneville was quoted as saying he wasn't sure if mumps was the reason behind Keith's setback, but that he was sick. The plan, according to Quenneville, is to prevent the potential spread to other players and see what happens from there. Regardless of the situation, the Hawks and the league will look to curb this infection as quickly as possible in hopes to limit its spreading and increase awareness in order to prevent fear for those unsure of its affects.